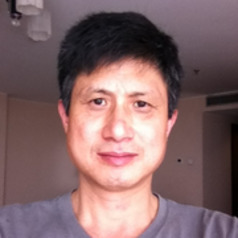 Dr Ying-Ping Wang completed his PhD in plant ecophysiology from the Department of Forestry and Natural Resources, University of Edinburgh in 1988, and moved to CSIRO, Australian in 1990. He currently is a chief research scientist in CSIRO. He is one of three key scientists responsible for developing the Australian community land surface model (CABLE) that has over 100 registered users from 51 institutions in 13 countries. He has published over 130 papers in major international journals including 13 papers in Science, PNAS, Nature and its family journals. His main research interests are land surface modelling, global change, climate impact, adaptation and mitigation.